The country’s mobile banking sector continues to grow exponentially, scaling a new height in February, according to a study by the USAID. The total value of monthly transactions made through mobile phones stood at $1.42 billion or Tk 11,104 crore in February, according to the study, ‘Mobile Financial Services in Bangladesh’. Of the amount, cash-in transactions accounted for $595 million, cash-out $523 million and person-to-person $265 million. Bangladesh has a rapidly growing mobile financial services industry, accounting for more than 8 percent of the total registered mobile money accounts globally, said the USAID. All this has happened in less than four years since the launch of the first mobile financial service products in 2011. Between January 2013 and February 2015, the number of registered clients increased more than five-fold from 5 million to over 25 million. But the industry has more options to grow further, said Mahfuzur Rahman, executive director of Bangladesh Bank. The number of transactions has grown significantly over the past two years, from 10 million in January 2013 to just under 77 million in February 2015. On average, $47.44 million is transacted daily via mobile phones. Lots of people are still out of the banking network and if we can bring all of them under the banking channel this figure will rise faster than in the last two years, Rahman added. The report is the consolidation of the findings derived from desk research and face-to-face interviews with key mobile financial services providers, telecom operators, technology platform providers, regulators, and USAID health and agriculture project staff and 904 beneficiaries. A majority of the respondents were interested in using mobile phones for bill payments (77 percent), savings (76 percent), airtime top-ups (70 percent), school fee payments (60 percent) and merchant payments (55 percent). By large margins, users of mobile financial services or MFS agreed that transactions are safe, easy, and convenient. Some 82 percent of the respondents in the survey certified mobile transactions to be safe but 8 percent of the users have doubt. Although a majority of respondents noted that MFS saved them money due to lower transaction fees (61 percent), more than a quarter (26 percent) disagreed or strongly disagreed with that statement, which shows that the cost of MFS remains a concern for some users. Dutch-Bangla Bank, one of the leading mobile financial services providers, said they found that most of their customers do not have their own mobile banking accounts. We found that people are mostly using the agents’ accounts for transacting money. The banking regulator is concerned about it, said Abul Kashem Md Shirin, deputy managing director of Dutch-Bangla Bank. The study also mentioned the rapidly growing mobile financial services industry, with at least 10 providers already offering services on the market. Brac Bank’s bKash dominates the MFS space, accounting for more than half of the market, followed by Dutch-Bangla Bank with about one-sixth of subscribers. The remaining eight providers with live services currently account for around a quarter of the total market share. The main population target of providers has been the unbanked and under-banked. 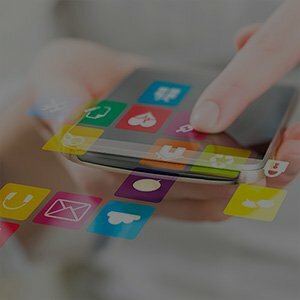 bKash has played a significant role in creating the market and building awareness to the extent that some people refer to bKash to mean all mobile financial services.